The first cocktail I tried was the Bijou. I really didn’t care for this drink, and it wasn’t very pleasant. It was a little too strong – very alcoholic. It seemed like the gin and the Chartreuse were competing with each other… maybe a lighter gin, like a New Amsterdam, might be better to let the Chartreuse take center stage. 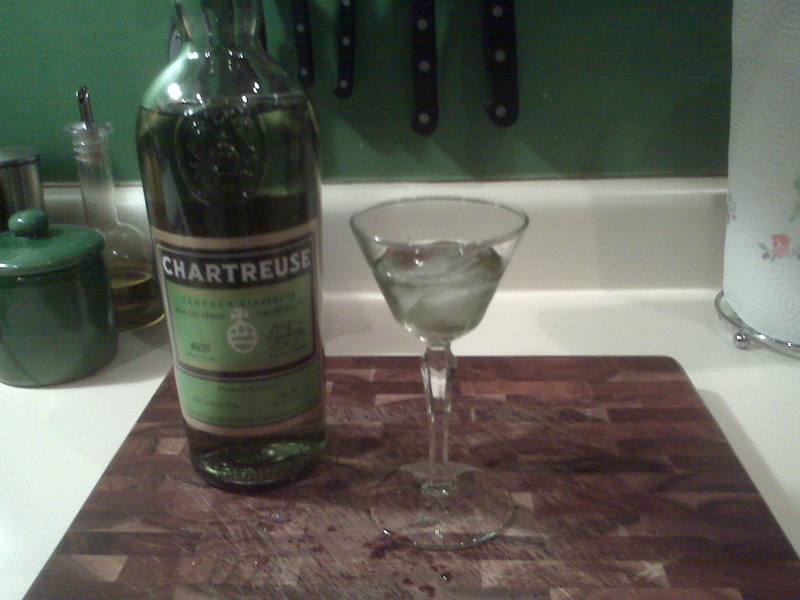 A nice way to enjoy the Chartreuse is to just simply enjoy the Chartreuse… by enjoying a nice, small glass of Chartreuse and ice. Chartreuse is 110 proof (55% alcohol), so while it’s quite tasty on its own, it’s also quite strong and can knock you on the ground. Watered down by the melting ice just makes it better and less intense. It’s definitely something worth sipping… very nice. I found another cocktail recipe that many suggested as the perfect cocktail to introduce oneself to Chartreuse… The Last Word. A couple nights later, I tweaked the recipe, and voila! One of my favorite drinks! Since it’s not the original recipe of The Last Word, maybe I should rename it? Maybe this one should be called The Counter Argument? The Counter Argument beat The Last Word, in my opinion. 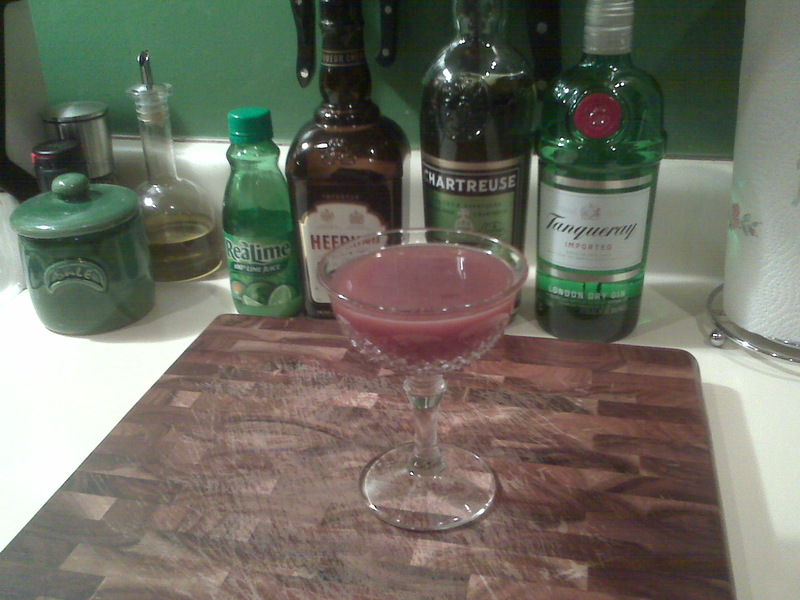 At least The Counter Argument beat my tweaked version of the Last Word (with a different cherry liqueur). 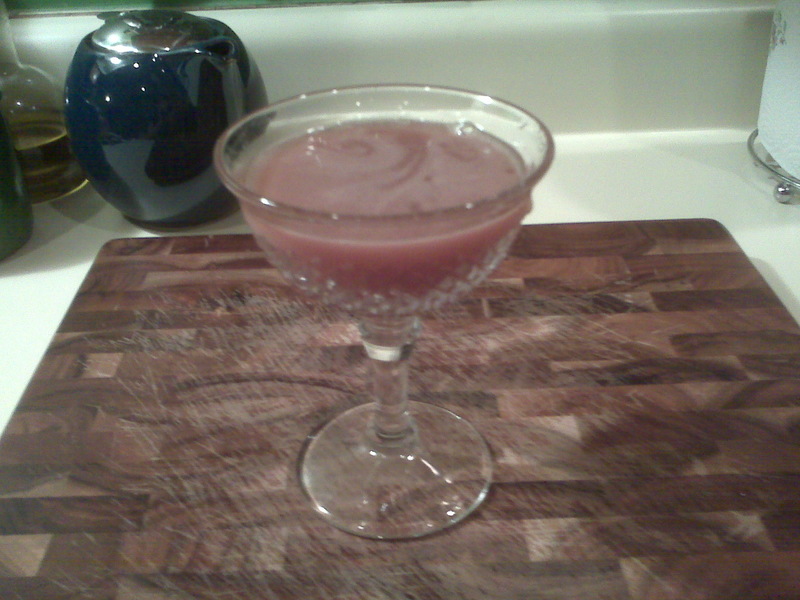 Without having maraschino liqueur, I can’t say 100% what a true Last Word tastes like. But I’m pretty happy with my Counter Argument. This Chartreuse is so mysterious. A secret recipe? Fabulous! 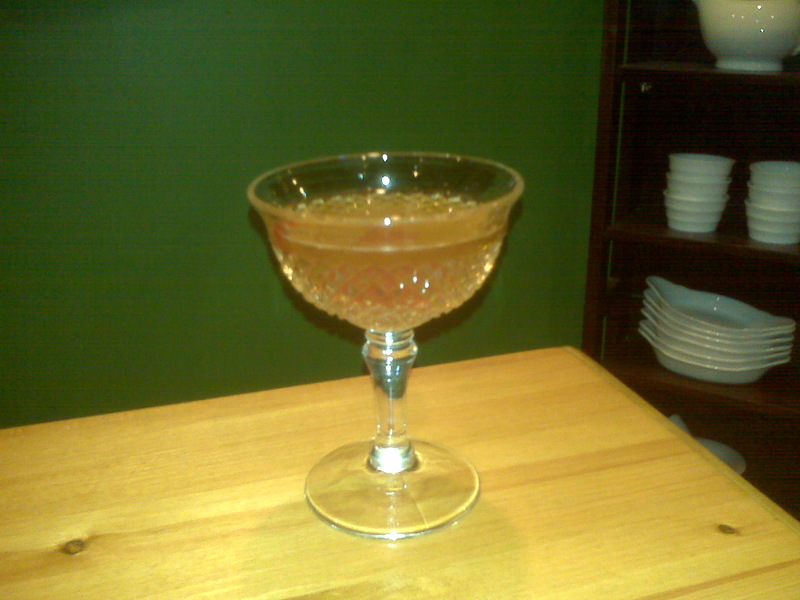 I’m with you on the Brigadier….sounds like a fabulous drink to have on a mysterious, rainy saturday night. make me one!!! If we get one more snowy (or cold rainy) night before spring decides to permanently stick around, I gladly will! 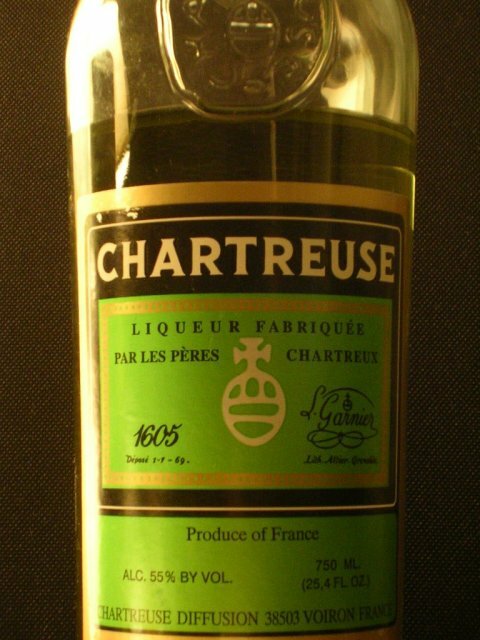 where can I buy Chartreuse in the usa? I hope this helps, and I hope you get a bottle! I love Chartreuse!